Legendary geopolitical forecaster George Friedman says that in the next decade America must face the realities of its position as a global empire without losing its republican soul. There are three global realities that must be faced in the coming decade. First, the United States has become an empire, shaping and reshaping the world through its actions. Second, it is an unintended empire, which means that it neither recognizes the reality of empire nor is prepared to exercise that power prudently. Finally, the greatest challenge to that empire does not come from outside, but from the profound tension between empire and republic. There are those who speak of American decline. I don’t think these people have taken the full measure of American power. We speak of the emerging BRIC countries—Brazil, Russia, India, and China. If you were to combine all of their economies into one, the total GDP would be only 60 percent of that of the United States. Certainly they are growing, but none of them come close to challenging the American economy. The United States Navy controls all the oceans. In a time when international trade is surging, and most of it travels in ships, naval power is not a trivial matter, even if it is not asserted. Certainly the United States has had reverses. We should recall that the British were defeated in a seven-year war with American insurgents. They also had a financial crisis in 1825 that staggered the country. Yet the British Empire was nowhere near its height. Reverses must be taken in context. The debate ought not be about whether the United States is in decline. It isn’t. Nor should it be about abandoning empire. It can’t. Certainly the United States is not a formal empire. There are no colonies or formal governments. But it is naïve to think that the United States doesn’t wield very real, if informal, power around the world, much of it unplanned. A shift in regulations on an important commodity that is trivial from the American point of view can stagger other countries. The hint of al Qaeda operating in another country can bring American intervention, turmoil, and suffering. Empires become formal over time. They begin with simple power. The United States didn’t intend to become an empire. In a sense it was simply the last man standing. When the Soviet Union collapsed in 1991, the United States became the only global power. For the first time in 500 years not a single European power could claim global status. 1991 was the beginning of the empire. Until then the United States was either a marginal power, before 1941, or locked in a death grip with the Soviet Union. It is absurd to call the 20th century the American century. As an unintended empire, it spent the first 10 years in denial, and the next 10 caught in a series of passing wars in the Islamic world. The United States has not yet caught its balance, let alone faced directly and honestly what it has become. Nor has it faced the fact that there is no longer a choice. The United States is 25 percent of the global economy and deploys troops in dozens of countries. It was easy to avoid foreign entanglements when it was a small country clinging to the Eastern Seaboard of North America. The concept is charming, but has nothing to do with the reality of American power today. It can disengage, but only at a terrible economic, political, and military cost. There is no going back. The United States was the first nation founded on the principle of anti-imperialism. It is therefore ironic what history has made it. But there is little time to appreciate the irony. The threat to the United States is not China or the EU, it is that the empire it unintentionally created must be reconciled with the republic it wants to be. Much of the political turmoil of our time is the tension between Washington as the capital of the world, and Washington as the servant of the American people. The debate ought not be about whether the United States is in decline. It isn’t. Nor should it be about abandoning empire. It can’t. It must be about how the moral project of the United States can be reconciled with its historic reality. That might not be possible, but it is the paramount question for the world, since an unstable America is a threat to everyone. But there can be no discussion of reconciliation until there is an honest acceptance of what it is. Twenty years after becoming the world’s sole global power, this is the decade when this issue will have to be faced. 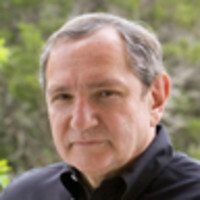 George Friedman is the founder and CEO of STRATFOR, the world’s leading publisher of global geopolitical intelligence. His new book The Next Decade will be published in January by Doubleday.